2019PayPal promotes Signs Banners Online on their official page. Trust and Approval Recognition - Signs Banners Online is awarded PayPal's highest recognition being invited to display a live link among famous North American retailers and Firms on the official PayPal website. We are very proud of this result and look forward to showing you why PP regard us as a favorite. We are very proud to announce to all our American designers & wholesale buyers that PayPal have recognized our efforts and business with the highest recognition ever --- a link on the PayPal website to Signs Banners Online. We thank them very much for showing their confidence with us and we look forward to showing you why PayPal have given us this honor. "I know why I keep returning business to you guys as you always provide an excellent service." Everything was perfect from communication to delivery. One of the best companies I have worked with and will continue to. 10/10 from us. Wow! 12,798 custom templates generated - Free! 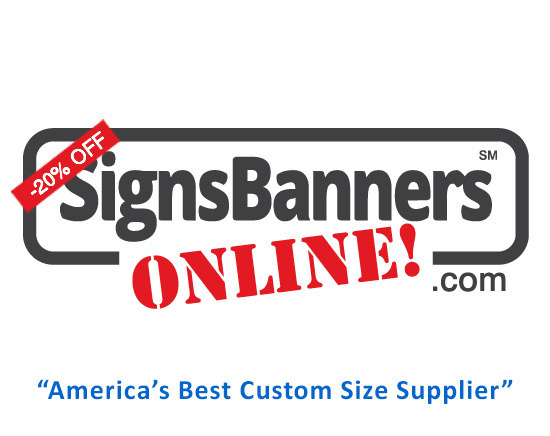 Industry Excellence - Signs Banners Online wins customer popularity and worldwide acclaim with their Easy Template Maker that gives designers the perfect manufacturing template for what they need... FREE! Wow! Since 2015, The Easy Template Maker has now been used over 12,798 times. You can use it too! We are very proud to help our graphic industry and professionals achieve the Signs Banners Online Best Online Tools for signmaking and First (1st) for Banner Sign Printing Setup. Thanks to all the champion designers and sign industry users for helping to make the Easy Template Maker so popular. Wow! Since 2016, We have received over 846 Five Star Reviews. We are very proud of this! Trade suppliers and Resellers, Corporates and Wholesalers... we are very proud to achieve your trust rating and look forward to showing more of what Signs Banners Online offers you with customer favorite Graphic Design for signmaking and being your favorite Wholesale Supplier too. Thank you! We have received over 1,201 likes. We are very proud of this! Designers, Groups, Interests and Customer likes, ... we are very proud to achieve your trust rating and look forward to growing with you, sharing more ideas and favorites of what Signs Banners Online offers you with social media. Graphic Design for billboard printing, signmaking and being your favorite site to visit and interact with too. Check out some posts with amazing photos and ideas there too. Posted by professional Graphic Designers experienced in making big banners and signs, poster graphics in all colors and themes Signage custom made becomes easier all thanks to the many online systems available.